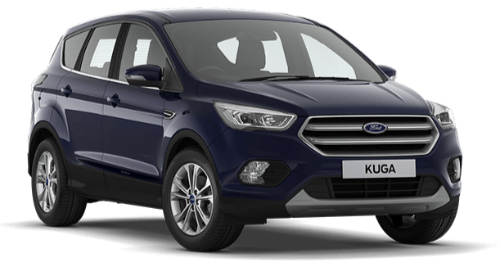 Now for a limited time only when you order a 191 Ford Vehicle in the Innov8 191 Sales Event, not only do you get a great deal of vehicle, you can also avail of 3.9% low APR and get extra peace of mind with an incredible 7 year warranty and 7 year roadside assistance. Check out how Ford is driving better value at your local participating Ford Dealer today. Titanium: Handsfree Tailgate, Silver Roof Rails, Rear Privacy Glass, Rear Parking Sensors and Powerfold Mirrors. ST-Line: Panoramic Roof, Rear View Camera, SYNC 3 with Satellite Navigation, Drivers electric Power Seat, Rear Privacy Glass and Powerfold Mirrors. Offer outlined above applies to new vehicles registered by April 30th 2019 at participating Ford Dealers. GRP excludes metallic paint, delivery and related charges. Model shown for illustrative purposes only. † 2 years base warranty 5 years extended warranty ** At participating Ford Dealers only (Full T & C’s attached). Imagery and information shown throughout this website may not reflect latest ROI specifications, colours may vary, options and/or accessories may be featured at additional cost and locations and vehicles used may be outside of the ROI. Ford policy is one of continuous product development. The right is reserved to change specifications, colours of the models and items illustrated and described on this website at any time. [†]This is the recommended retail price for the model shown excludes; optional extras, promotions, delivery and dealer related charges.